I say on my Facebook profile page that I'm not the most social networker out there and it's true. I am happy to sit in my home office with only my animals for company, merrily creating web graphics and webpages for hours on end. However, I have slowly come to the realization over time that there is value for webmasters in engaging in social media marketing. First off, if you do it right, it's a great way to meet others who share your interests and passions... and who knows where that might take you? But it's also a great way to get the word out, so the speak, about your website and what you have on offer there... whether it's nothing more than free content... or if you're selling something (or pre-selling). 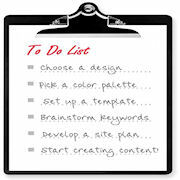 Either way, social media is yet another strategy for online website promotion and to stimulate traffic. You might be wondering what I mean by social media... though as the months and years go by, I wonder how many people will still be asking that question. "Social media is the use of web-based and mobile technologies to turn communication into interactive dialogue." 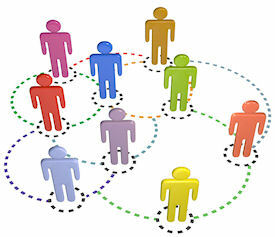 In other words, it is a way of connecting with others online, using various Internet technologies. A common thread running through all definitions of social media is "a blending of technology and social interaction for the co-creation of value." 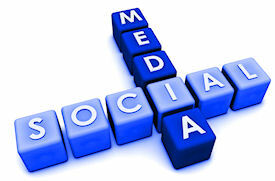 Examples of social media are the ever-present Facebook, Twitter, LinkedIn, YouTube and other similar sites. These sites get tremendous traffic, so getting yourself a place on any one of them... or all of them... can be a terrific social media strategy. I many SBI owners who have really seen their websites, traffic, and earnings take off once they started using social mediat tools like Facebook and Twitter to find and connect with their target audience. The social media training I'm offering is mainly focused on Facebook and Twitter at this point, but I'll be adding regularly to this portion of the site as new social media tools emerge, so do check back often to see what's new here. Social media is here to stay, that's clear. You may be suspicious of it or find it all too much to take in. But if you don't avail yourself of our social media training and get on board with some kind of social media strategy, then chances are your website growth will suffer over time.